1 Blemished Available: $692.10 This item is available as a Blem/Refurb. These are items that cannot be sold as "New" merchandise and are limited to stock on hand. See the product details for a description of the product's condition. The Rolls Royce of motorcycle helmets, the Schuberth C3W Pro has been designed to improve on the original C3W, which was already one of the quietest and most technologically advanced helmets to date. The rear spoiler, which has been optimized during extensive wind tunnel testing, turns the C3W Pro into a real sport helmet, demonstrating outstanding aerodynamic properties at high speeds in excess of 100 mph. With its enhanced aeroacoustics of 82 dB(A) at 100 km/h the C3W Pro is one of the quietest helmets in the world. The C3W Pro is also prepared to accept the integrated Schuberth SRC System, the C3W Pro also incorporates two integrated antennas for increased Bluetooth range and better FM radio reception. The inner lining is made of carefully selected materials such as COOLMAX, Interpower and Thermocool and has been extensively re-shaped and redesigned setting high benchmarks with respect to comfort. Optimized for smaller head shapes and takes into account the particular female face shape. A special cushioning in the area of the cheeks offers a higher wear comfort for women and therefore a safety plus. 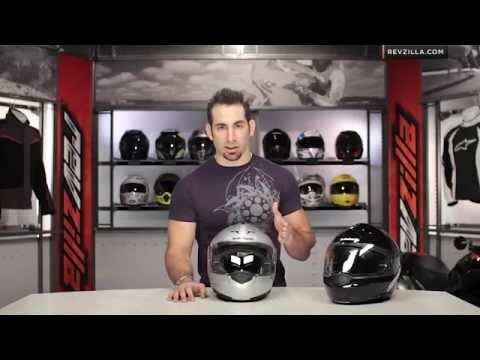 A quiet helmet means active safety for the motorcyclist. 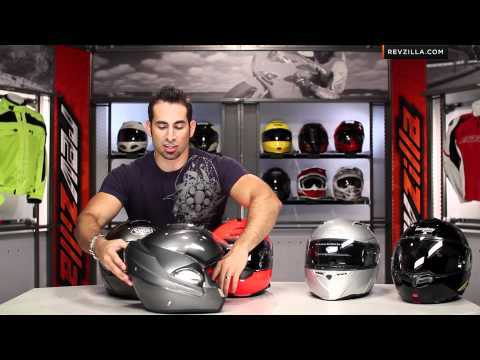 This permits the rider to concentrate on riding – particularly at higher speeds. Many hours in the Schuberth acoustics wind tunnel have ensured that the C3W Pro is as quiet as Schuberth could make it. The comprehensive acoustics package with optimized helmet shell, wind deflector and ergonomic shape of the neck padding make the C3W Pro – at 82 dBA – one of the quietest helmets on the market. The outer shell of the Schuberth C3W Pro is offered in two helmet shell sizes and combines an aerodynamically optimal shape with excellent protection. It is manufactured using Schuberth's typical compression molding process and thus permits great stability and a low weight. 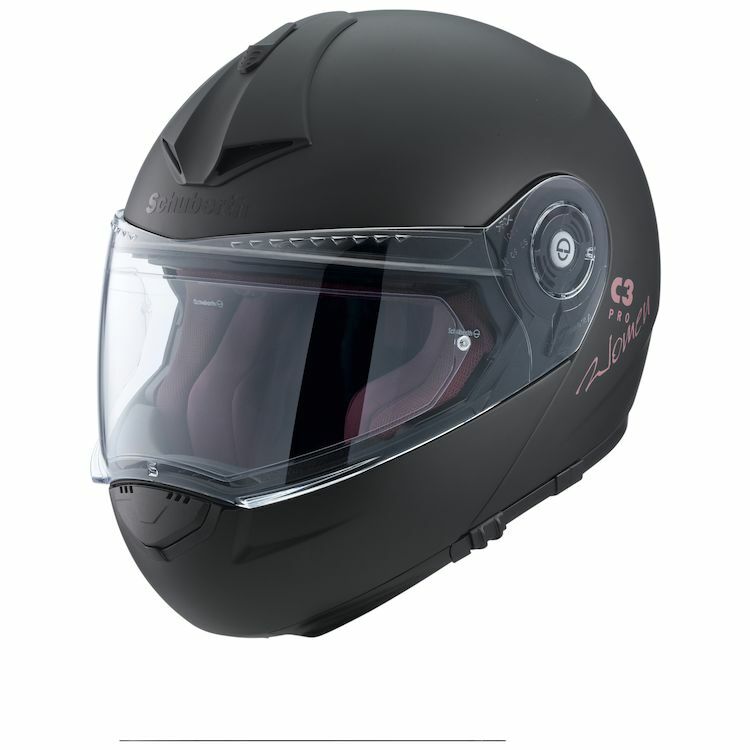 The C3W Pro equipped to accommodate the SCHUBERTH SRC-System C3W Pro (sold separately). To guarantee ideal radio reception, the C3W Pro is already equipped with two integrated antennas to boost FM and Bluetooth reception. A special inner lining of the C3W Pro which was developed according to Schuberth's innovative Comfort Fit concept that ensures the helmet fits comfortably and securely in all situations. The combination of carefully selected COOLMAX and Thermocool materials, with the additional use of Interpower coatings, also make the inner lining a highly-effective moisture removal and cooling system.